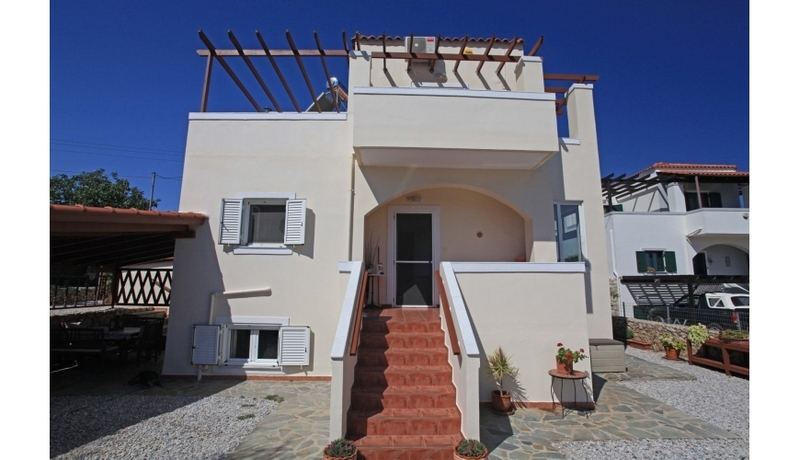 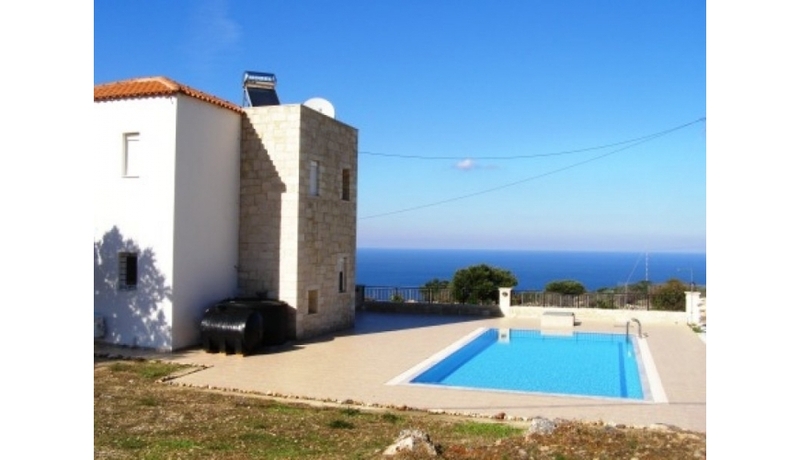 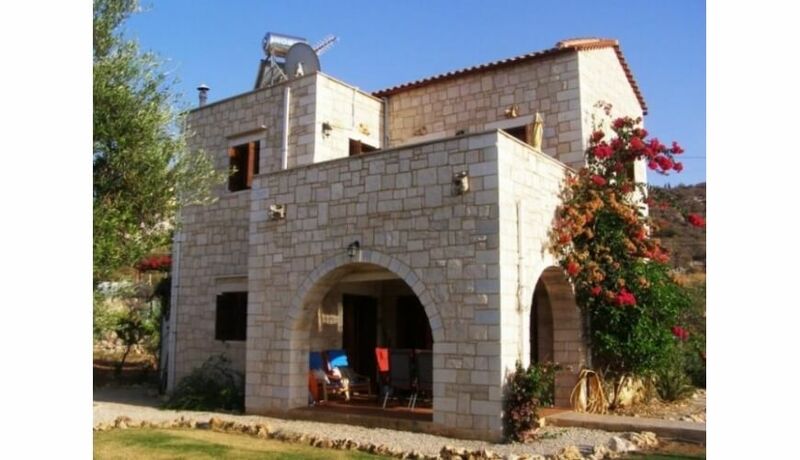 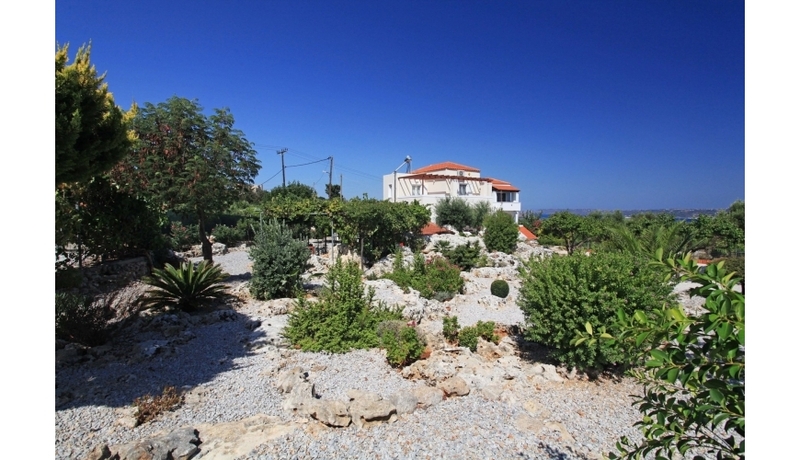 This is a large and very attractive private villa with sea views overlooking Souda Bay. 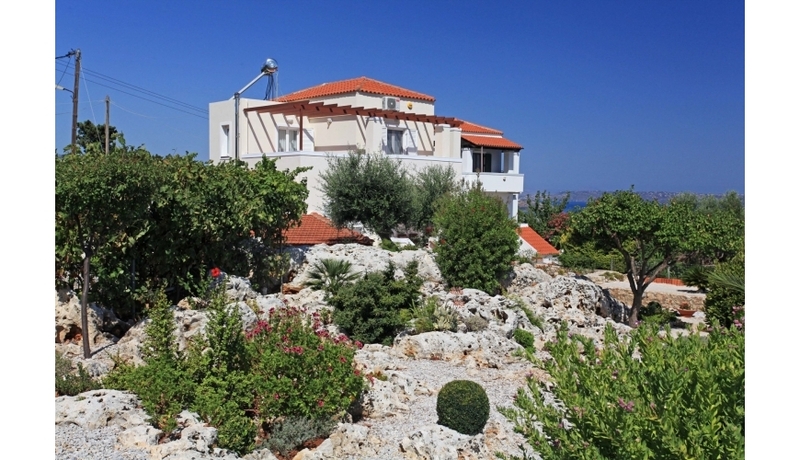 Located on a beautifully landscaped plot situated just a short distance from Plaka square, the villa has great views, large private pool, BBQ and outdoor covered dining area, central heating and much more. 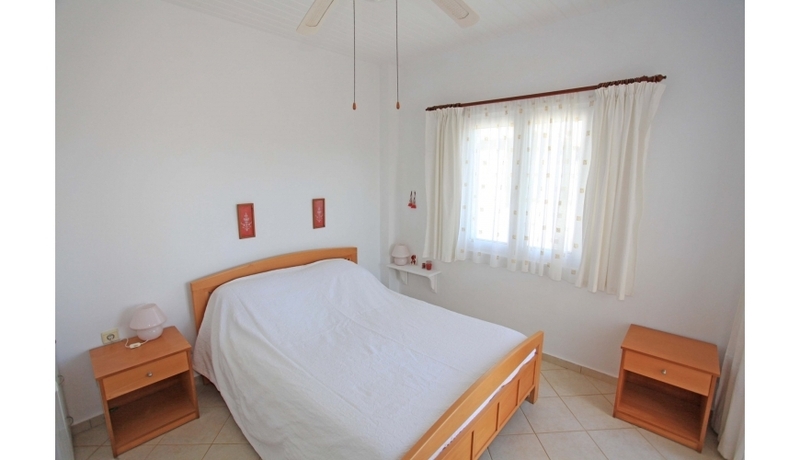 The villa also has a self contained guest apartment which has its own kitchen, living/dining area, bathroom and double bedroom. 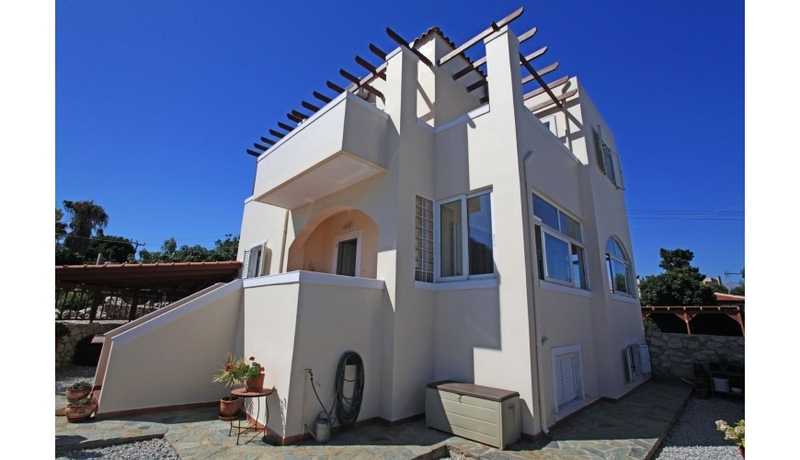 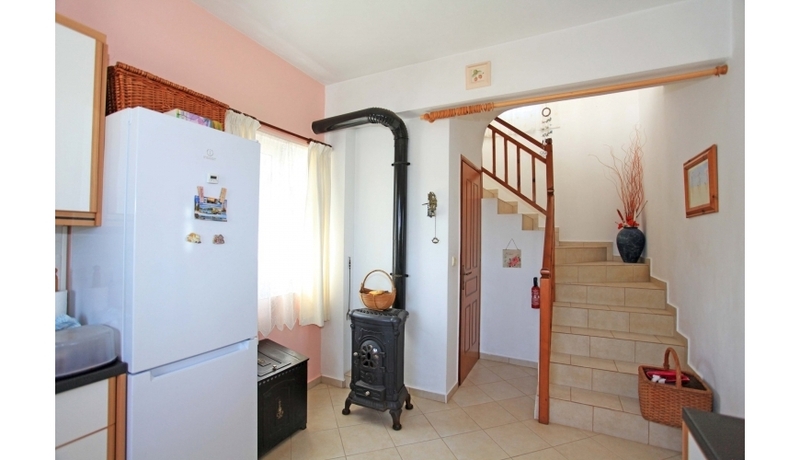 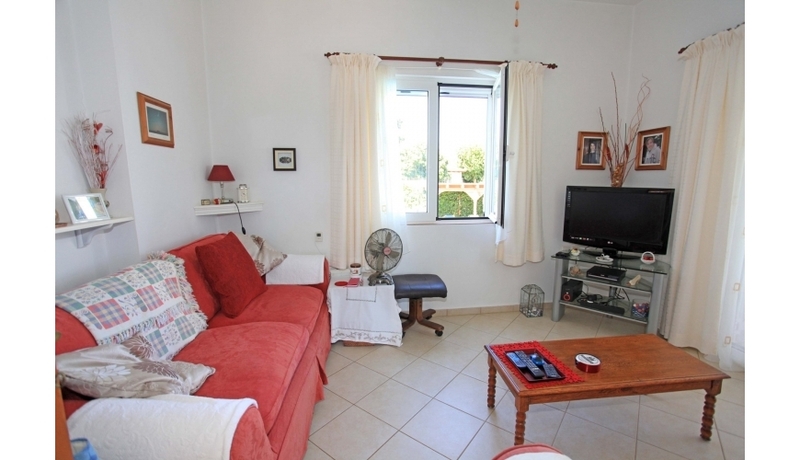 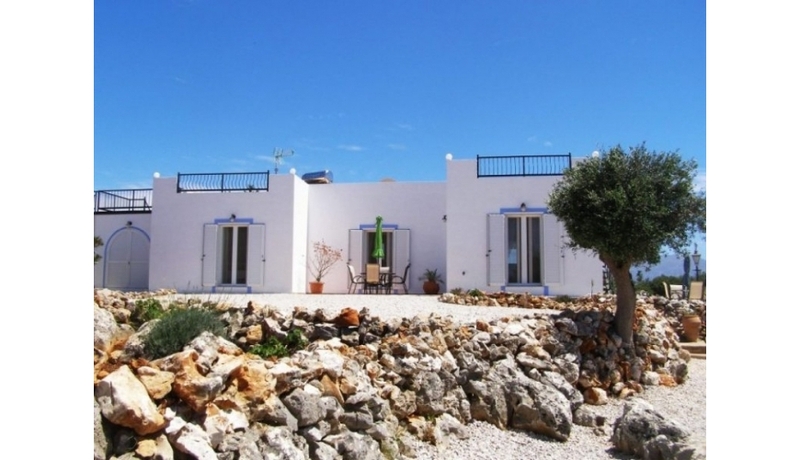 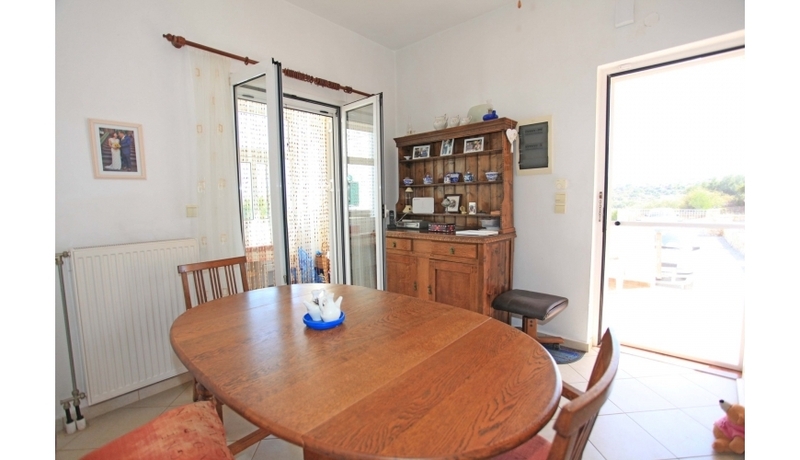 This lovely centrally heated villa, completed in 2004, is set across 3 levels. 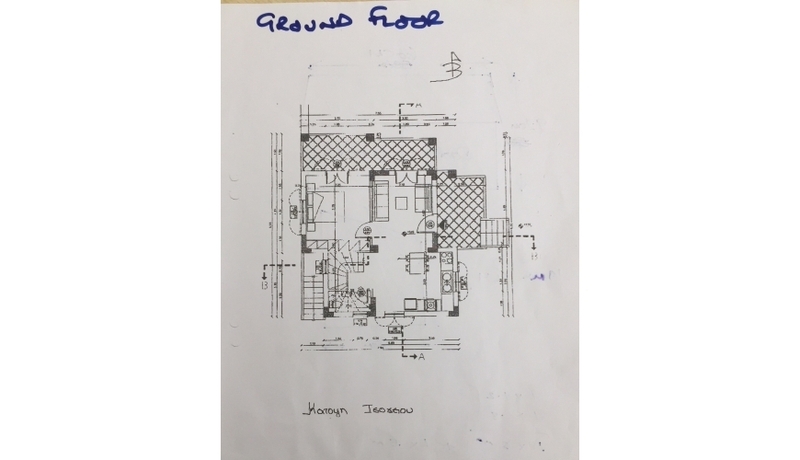 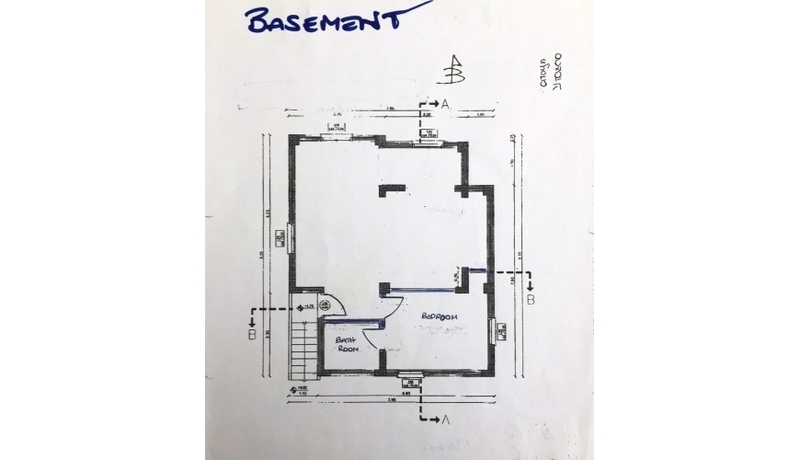 Entering on the ground floor, there is a large open and light filled living space with a dining area, fully fitted kitchen, with all appliances and a separate living room and also a WC. 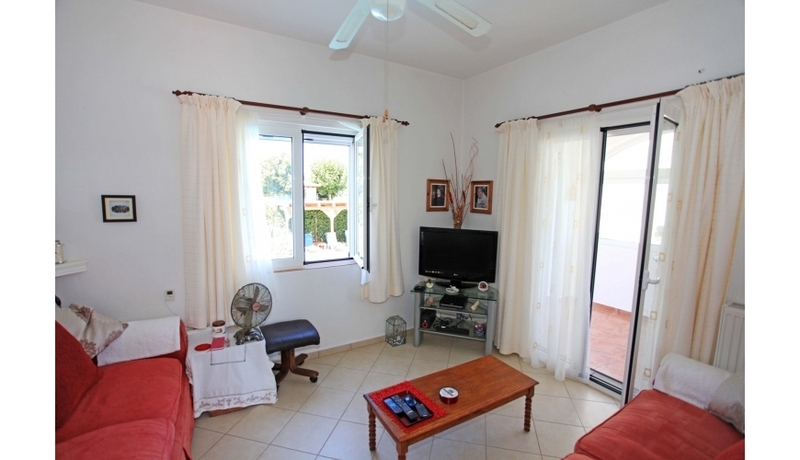 On the first floor there are 2 large double bedrooms with floor to ceiling fitted wardrobes. 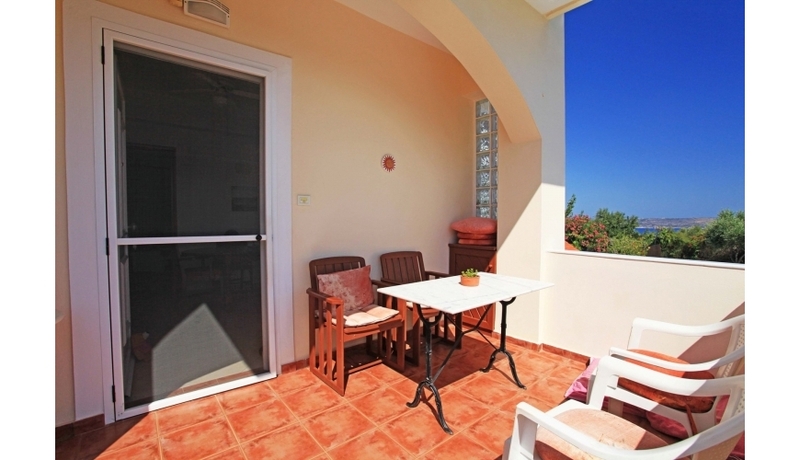 Both bedrooms lead onto the vast wraparound upper terrace which overlooks the stunning gardens to the Sea. 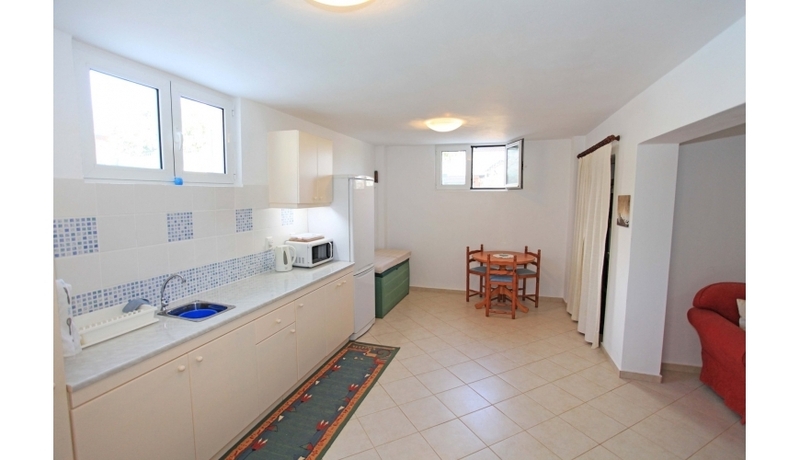 The family bathroom is very spacious and has a glass shower enclosure plus WC and sink. 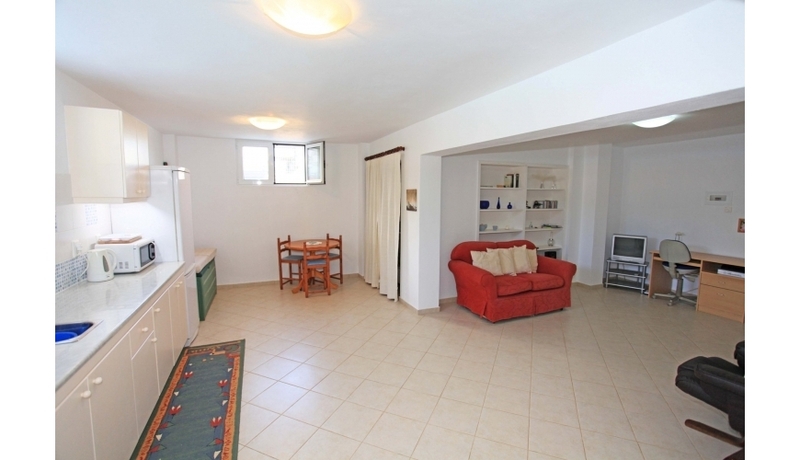 With its own separate entrance, the spacious guest apartment on the lower floor is perfect for family and friends. 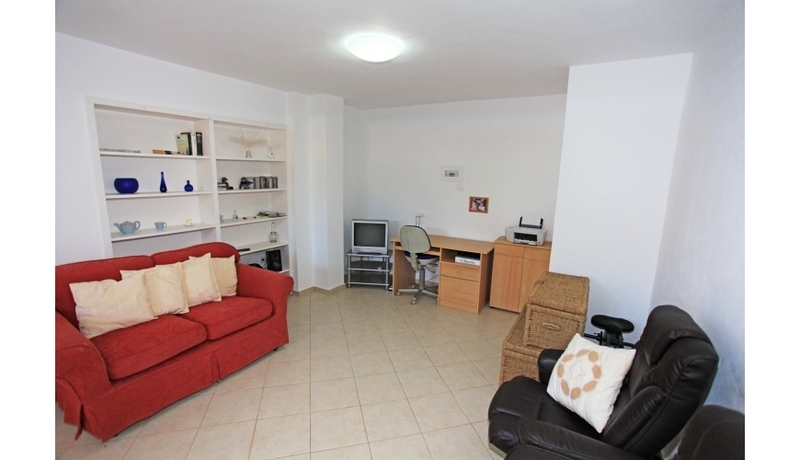 The apartment has a large twin bedroom with wardrobe space, fully tiled bathroom, living area and well equipped kitchen with dining area. 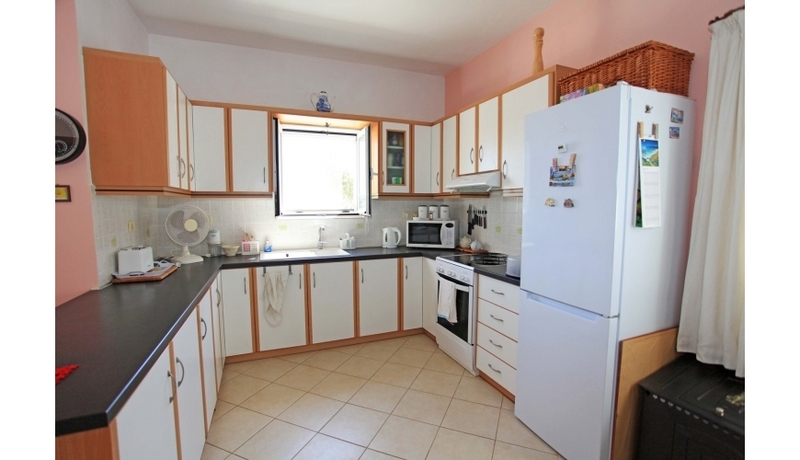 There is also additional storage space in this area. 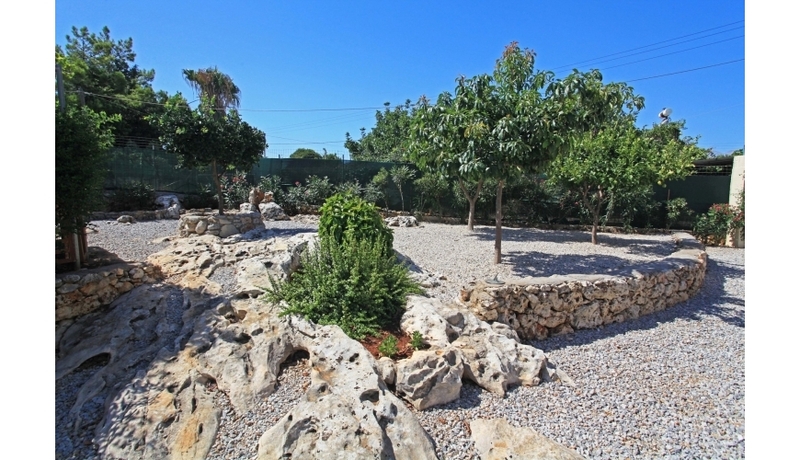 The outside garden areas of this villa are truly very special with beautifully landscaped areas, rockeries, a vast array of fruit trees plus a vegetable garden and many mature plants and flowers. 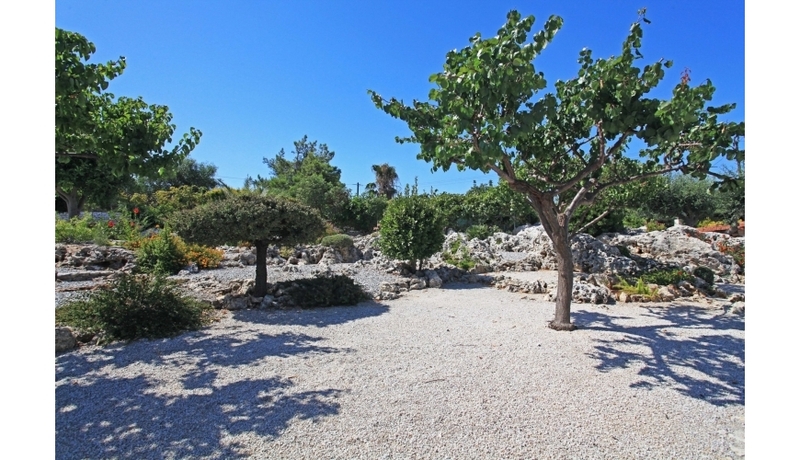 There are a number of gravelled areas and pathways throughout the gardens. 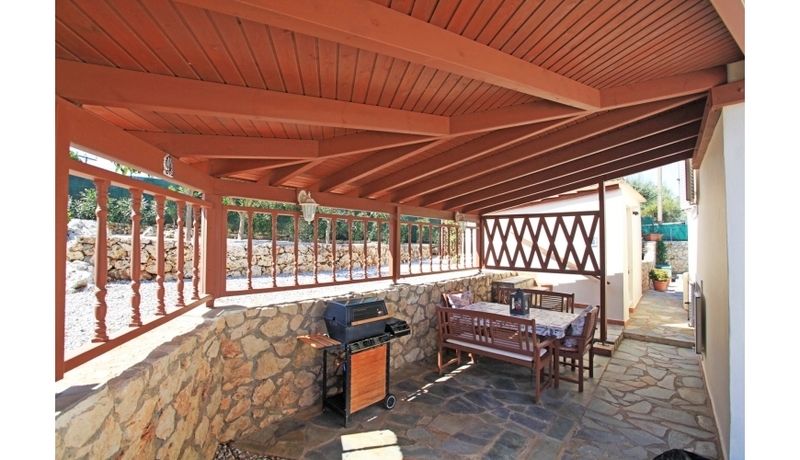 At the side of the villa is a very large covered outdoor dining area with dining table and BBQ. 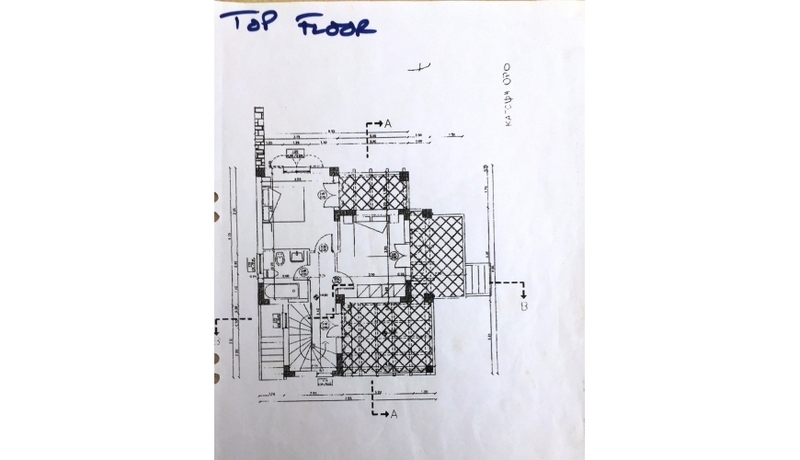 There is also a separate workshop and boiler room . 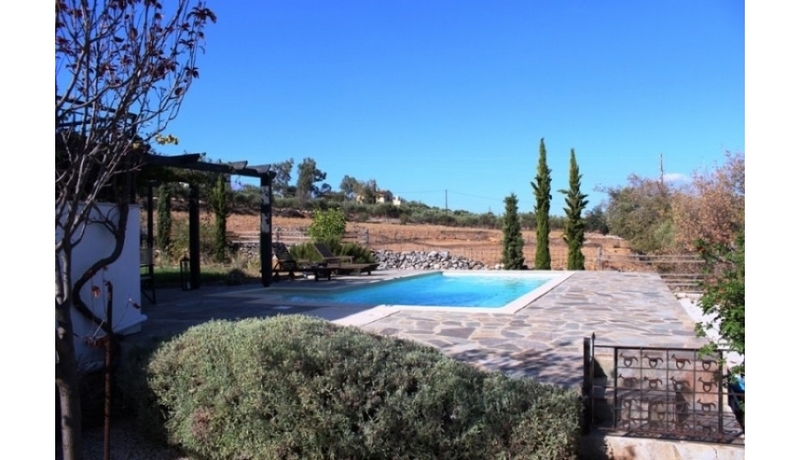 Hidden to the rear of the villa is the large private pool surrounded by terraces for sunbathing and a further covered pergola providing a shady seating area. 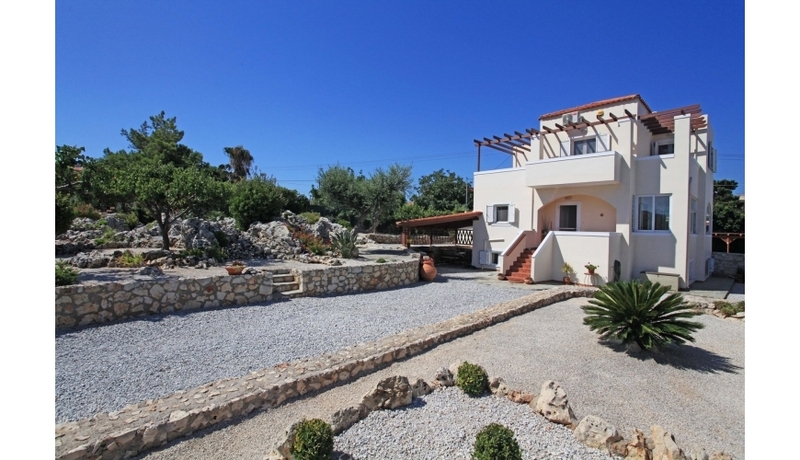 The villa has been well designed throughout with every possible amenity and the current owners have put years of love and care into creating a beautiful home set within stunning gardens. 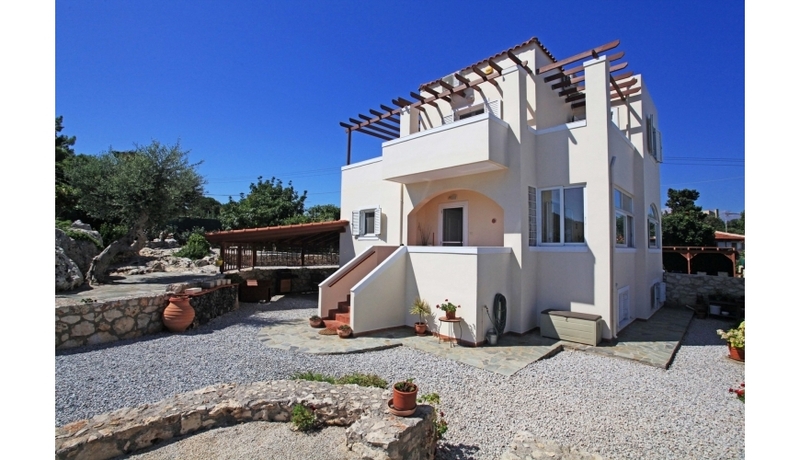 A wonderful home for holidays or permanent living.